Keep yourself organized and on track for this week and next! 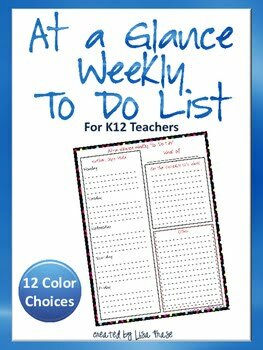 Print out the FREE At a Glance Weekly To Do List and the Lesson Plans Sketch Sheet that are now available in TWELVE different border designs! Go black and white or cute and colorful. I use this these pages every week in my own classroom. Enjoy!